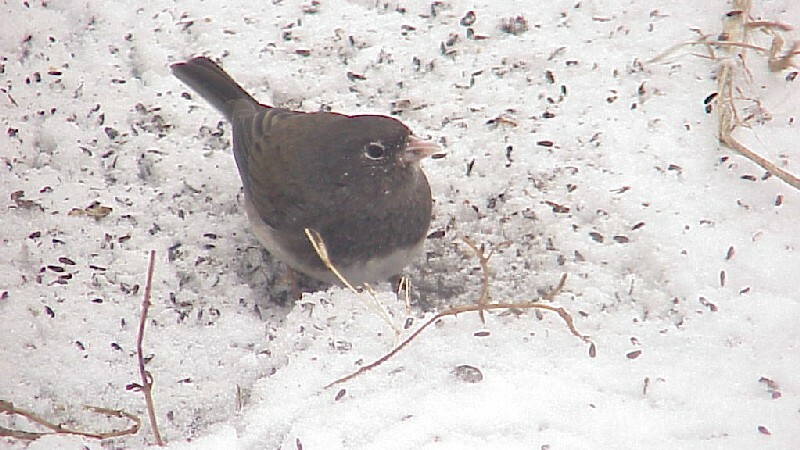 On November 16, 2009 I was watching the birds at the feeder and noticed this oddly plumaged Junco. I've seen leucism in many species of birds, but the markings around the eye were oddly reminiscent. 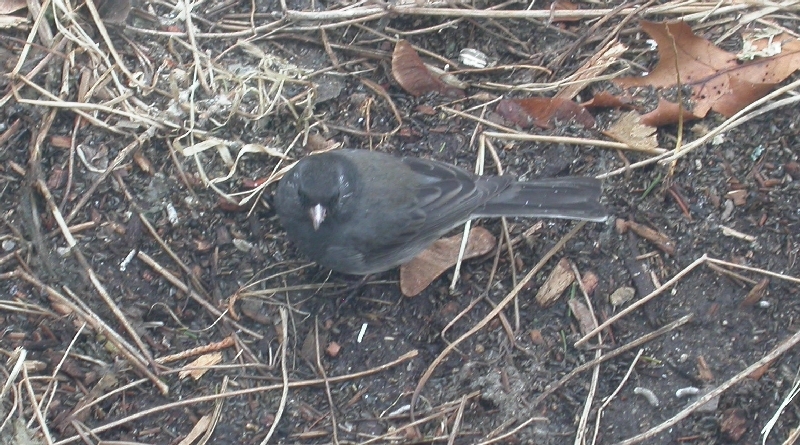 For five consecutive seasons I had a similarly plumaged junco at my feeder. Winter 2002-2003 (3/13/03). This was the best I could do for a photo. 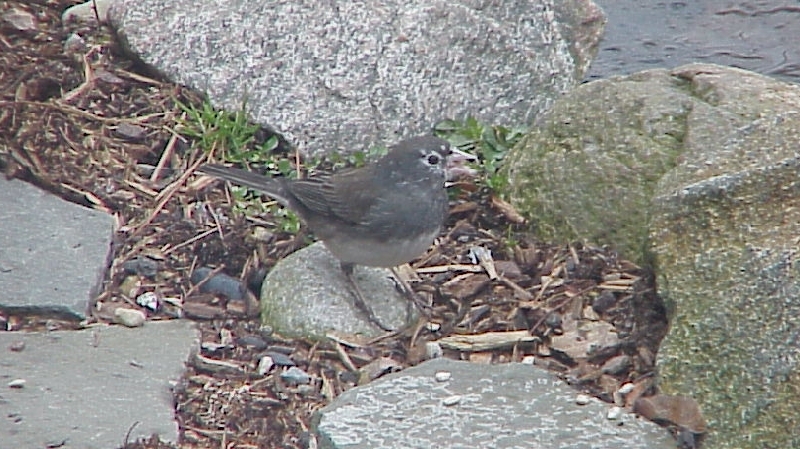 This was the last season I saw this bird. 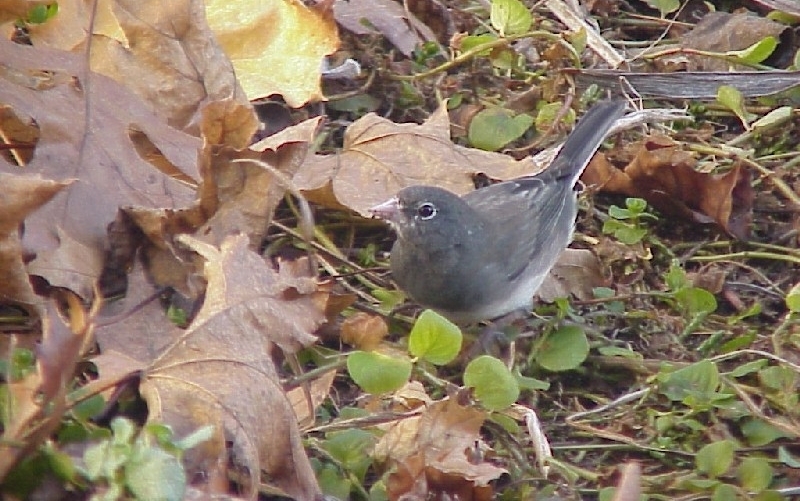 When November of 2003 arrived I waited and watched all the juncos, but finally realized it wasn't going to show up again. Anyway, what do I make of this bird? 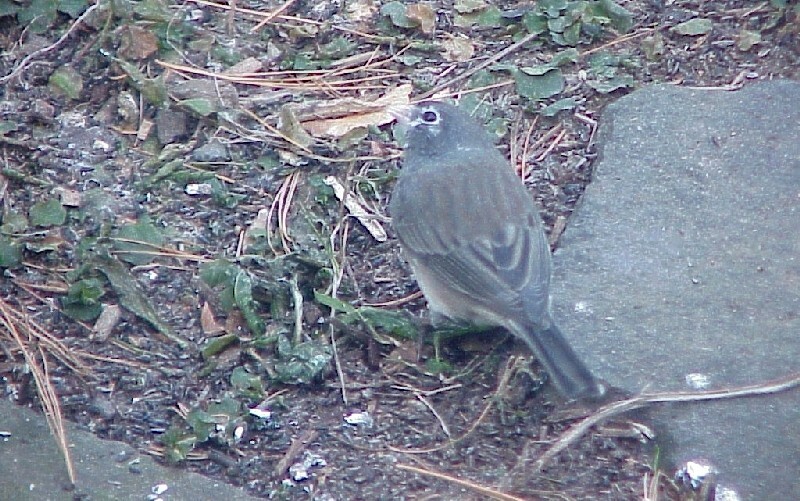 What are the odds that two "White-eyed" Juncos would show up, years apart, at my feeder. On the other hand, could this leucism be genetic, and this is a progeny (how many generations?) of my original bird. Since migration appears to be inherent rather than learned, why not inherit the urge to migrate to my yard?